There are many types of anemia and there are many types of seaweed to choose from, all with excellent health benefits. We'll take a look at the types of seaweed available in the U.S. which help those diagnosed with iron-deficiency anemia. 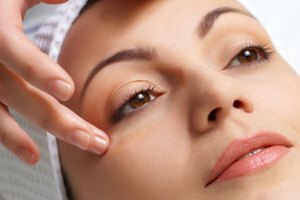 We will also look address pernicious anemia. Understand What Seaweed is: Seaweed is one of the healthiest vegetables a person can eat. The oceans and seas are filled with nutrients and minerals deposited from land over the period of Earth's history. Since we as humans are a part of our planet, the nutrients found in the oceans, accumulated in plant life such as seaweed, are necessary for health of our bodies, carried throughout the body by way of the blood. Seaweed is known to be many times more nutritious than vegetables grown on land. Know How Seaweed Helps Anemia: Most people diagnosed with anemia have an iron deficiency, including being deficient in vitamin B-12, also known as pernicious anemia. Seaweed is a natural, non-animal source of vitamin B-12 and is high in iron.. Those who are strict vegetarians (vegans) are more prone to be deficient in B-12 since animal flesh is the common source of this vitamin. Discover a Few Types of Seaweed that are Best for Anemia: All seaweed contain good amounts of iron, which is needed for most anemics. There are many varieties to choose from.In the U.S. and around the world, the most popular type of seaweed eaten is called, Nori. 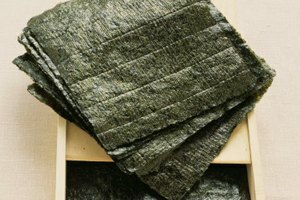 Nori comes in thin, papery sheets, usually dark green to almost black in color. It originates from Japan and is what one commonly sees sushi, along with rice, rolled up in. It is very mild-tasting with low-sodium.Spirulina has gained popularity in the U,S. over that last couple of decades. Spirulina is a spiral-shaped, blue-green algae found in alkaline lakes world-wide and freeze-dried. In health food stores, it comes in powder form as well as tablets. It is high in protein and contains many minerals and vitamins, including B-12. Spirulina is thought to be the food of the future, since it contains all of the nutrients needed to sustain life. This food has long lists of health benefits, including healing those with anemia.Dulse is a form of seaweed which originates from Ireland and England and is also called, "sea lettuce". 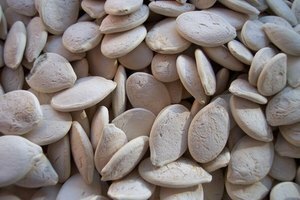 It is rich in iron, making it a very good choice for anemic people. Along with vitamins and amino acids, kelp contains just about all of the minerals necessary for human life. It is the largest seaweed (called brown algae) and grows on the ocean floor. Kelp can be found in powder form or in tablets. Find Places to Buy Seaweed: Many regular grocery stores will have the nori type of seaweed since it's the most popular type. This can be found in the grocery store aisles named, "Ethnic Food" or "Asian Food". Health food stores, such as Whole Foods and Wild Oats will carry seaweed also, usually offering several varieties. Seaweed can purchased on the Internet, through many online health sources. Eat nori. This seaweed is more commonly seen in sheet form used when making sushi. Usually, bits of sushi (raw fish), pickled ginger and rice is placed on the sheet and rolled up, similar to making a burrito, for example. It is then sliced horizontally into round pieces which can be dipped into soy sauce or eaten alone. Other foods can also be rolled up in nori sheets--use your imagination. Besides the sheets, nori can also be purchased in shakers so small flakes can be shaken onto food as a seasoning, such as, salads, hot vegetables, sea food, rice, soups and sauces. Consume spirulina. In powder form, spirulina can easily be added when making smoothies (if you don't mind the green color) and in soups and sauces. I prefer 500 mg tablets in the Earthrise brand. Six tablets per day are recommended and I choose to disperse them throughout the day, usually after my meals. For example, I would take two tablets after each of my three main meals. Eat dulse. Although low in sodium, dulse has a natural salty taste and is high in flavor, making more it an excellent seasoning for vegetables, meats, sauces and soups. In shaker form it is delicious in popcorn, in place of salt. Kelp can be found in powder form, making it easy to sprinkle on food such as soups, sauces, salads, vegetables or one can take it in tablet form. Enjoy kelp. This seaweed can be found in powder form, making it a great salt substitute and easy to sprinkle on food such as soups, sauces, salads, vegetables. You can also choose to simply take it in tablet form. 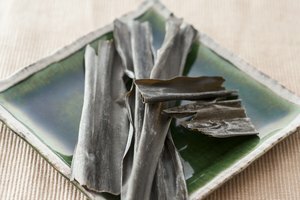 Have Fun Experimenting with Seaweed While Increasing Your Red Blood Cells: Buy nori sheets, take one out and take a bite out of it. Crumble it up. Sprinkle it on your salad or even in a sandwich or an omelet (it's great on eggs!). If you are not used to it, invite seaweed into your meals slowly. Have fun with seaweed. Make a big bowl of popcorn and sprinkle or shake some nori in it or perhaps some dulse (or both). Add it to foods you are already eating--you do not have to know how to create Asian dishes in order to enjoy seaweed.When you discover ways to enjoy seaweed every day, whether it's in the form of tablets like spirulina and kelp or something you can sprinkle, you'll experience an increasing sense of well-being as more healthy red blood cells develop and deliver nutrients and oxygen to every part of your body. Add seaweed graduatlly to your meals. Buy nori sheets, take one out and take a bite out of it. Crumble it up. Sprinkle it on your salad or even in a sandwich or an omelette.Add nori, dulse, kelp or spirulina to your soups and sauces for added flavor. Add a little at a time until you are satisfied with the taste, as you would do adding any new spice.If you are not used to it, always invite seaweed into your meals slowly. Add it to foods you are already eating--you do not have to know how to create Asian dishes in order to enjoy seaweed. Use seaweed in snacks. Make a big bowl of popcorn and sprinkle or shake some nori in it.. Or you can sprinkle on some dulse (or both) .Add a little spirulina powder to your favorite smoothie. This is another great way to get your seaweed into your body. You won't taste it but you'll notice the green color! Explore other types of seaweed along the way. There are many other types of seaweed with numerous benefits to your body, including wakame, kombu, arame, sea palm and agar agar. 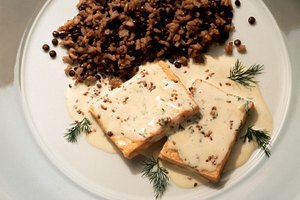 The flavors are delicious and there are many ways to use them, such as thickeners for sauces and soups, in place of meat (as with kombu) and much more.When you discover ways to enjoy seaweed every day, whether it's in the form of tablets like spirulina and kelp or something you can sprinkle, you'll experience an increasing sense of well-being as more healthy red blood cells develop and deliver nutrients and oxygen to every part of your body. Another very common symptom of iron deficiency anemia, besides liking the smell of gasoline, is craving and chewing on ice. These symptoms are early warning signs and cues to get your blood tested by your doctor. Take a vitamin C supplement each day (at least 500 mg) with your iron supplement and eat a good source of vitamin C . Vitamin C helps the body to absorb iron more effectively. Nori is one of the seaweeds also containing vitamin C.